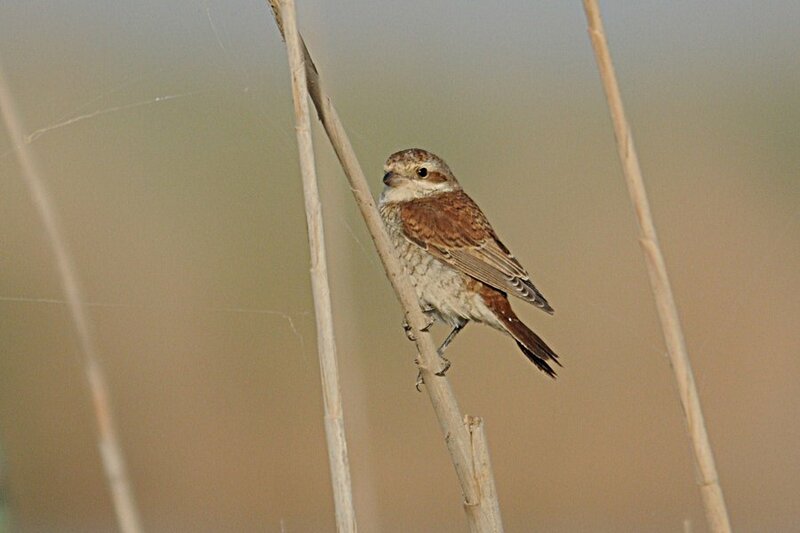 On Thursday 6th October there were a lot of Shrikes present at Sabkhat Al Fasl. 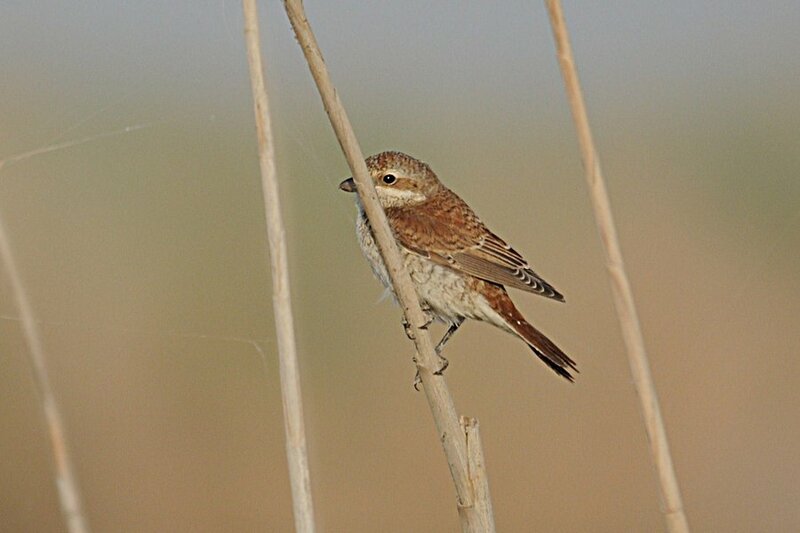 The day before had been very windy and quite dusty and this had caused a lot of migrants to alight in the Jubail area. 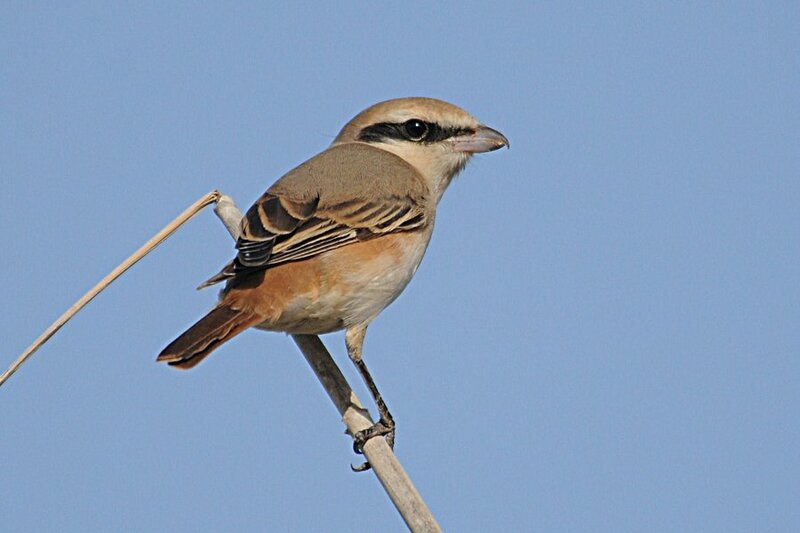 Shrikes were present on all the bushes and fence posts as well as on a lot of reed stems along the side of the lakes. 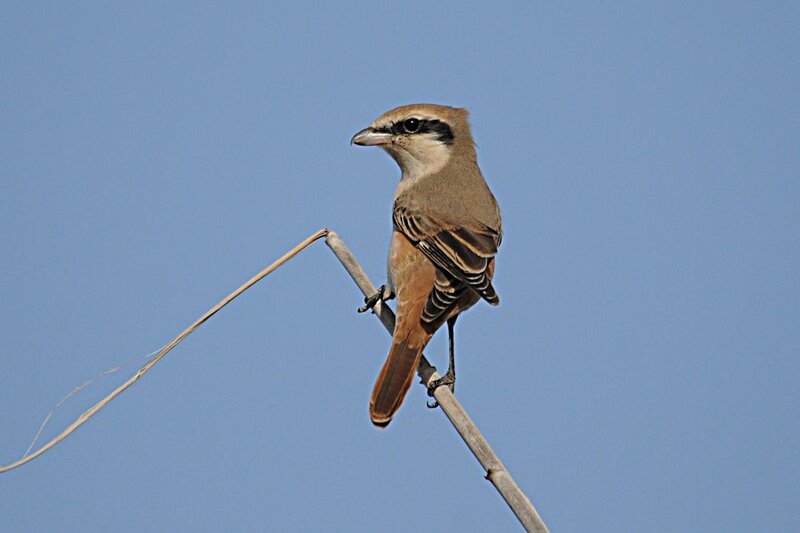 This allowed for good photographic oportunities and below are photographs of two different shrike species, Red-backed Shrike & Daurian Shrike. 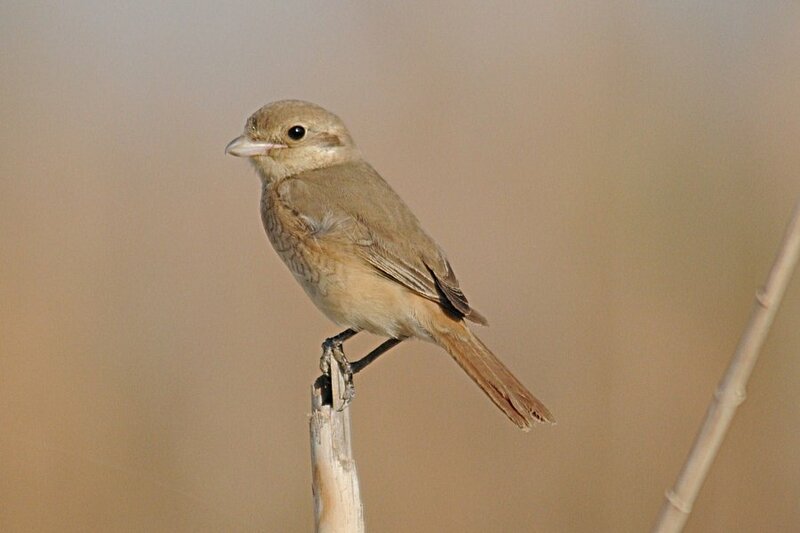 AbdulRahman, a very experienced birder from Kuwait, kindly pointed out to me that the top three photographs are of Daurian Shrike and not Turkestan Shrike as I thought. 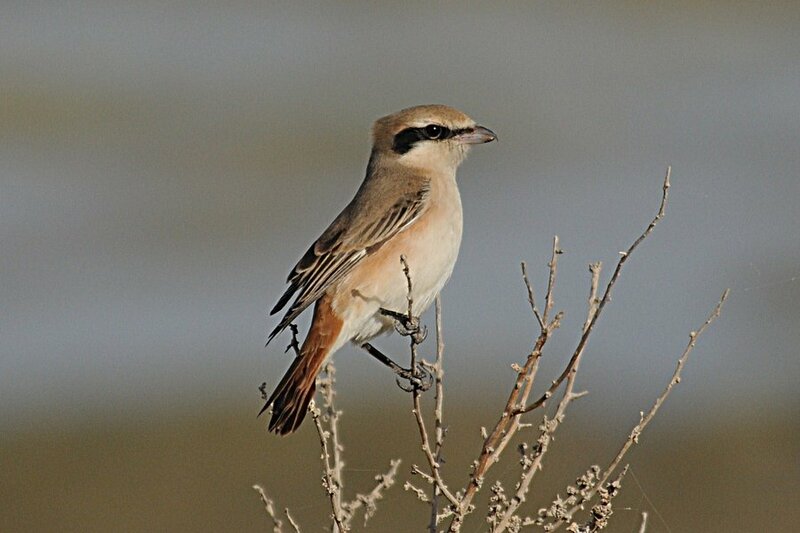 He mentioned adult Turkestan Shrikes have whitish underparts with whitish supercilium and rufous crown contrasting with brown greyish upperparts. 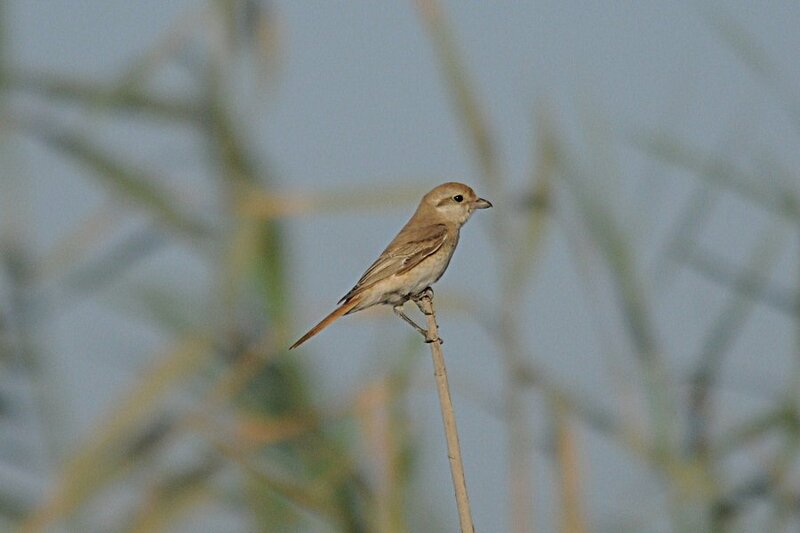 It is important to notice underparts & throat to differentiate these two species.